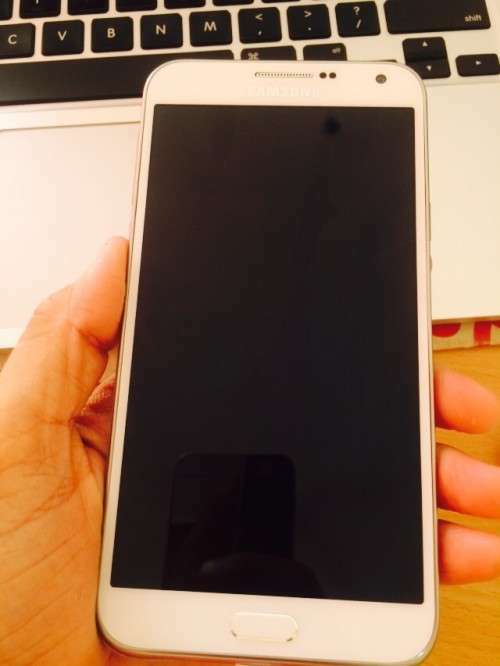 Samsung Galaxy e7 has launched in January 2015. It is high end Smartphone from Samsung. It makes you feel that Samsung is getting smarter in making Smartphone day by day. My first device with Samsung was Galaxy Note N7000 and most recent device is Samsung Galaxy E7. It has larger screen than Galaxy Note N7000. It has other advancements than previous device. It has Super AMOLED display with 5.5 inches size. It has nice 267 ppi density of screen resolution. It supports multi touch on it. This device has 720X1280 resolution for display. It is 5.96X3.04X0.29 inch dimensions Smartphone with 141G weight. It is slick design Smartphone which makes feel light weight even after 5.5 bigger screen sizes. It is thicker Smartphone than Galaxy Note N7000 device. It has one round edged home button. You need to insert Sim from sides in it. The battery is non-removable one. It has same buttons like Galaxy Note Smartphone. You will find lock screen button slight down from top side. It has Black, White, Brown, Blue color versions available to buy. It has 16 GB of internal Memory. It has 2 GB of ram which is enough for faster processing. In showroom I found it processing faster than Lumia Smartphone. It has Quad-core 1.2 GHz Cortex-A53 processor for faster processing. It has Qualcomm MSM89 Snapdragon 410 Chipset on it. It has 13 MP primary camera which takes stunning pictures even during night period. It has autofocus, LED flash, check quality features in it. Other camera features are Geo-tagging, touch focus, face detection, panorama, HDR makes it easy for taking pictures. There are many modes available to select for taking pictures via camera. The secondary camera is 5MP to take nice selfies. It has non-removable Li-lon 2950 mAh battery in it. Although battery isn’t very high mAh one but it gives nice backup. This Smartphone drains battery slower than my previous experience with Galaxy Note N7000. It has up to 18 hours 3G network talk time support. It has 88 hours music playing backup with the battery in it. NFC is new feature in this Smartphone. It let do many automation tasks using NFC tags, NFC enabled terminals, NFC devices etc. It supports 4G with some of its international modals. It also supports NFC technology on its selected modal variations. Please double confirm before buying this Smartphone about these features. All modals has different features. Overall seeing pricing, features in it and competitive brands in market this Smartphone is good choice for mid-rang budget Smartphone buyers. Let me know below in comments if you have any questions, suggestions or feedback about the post.